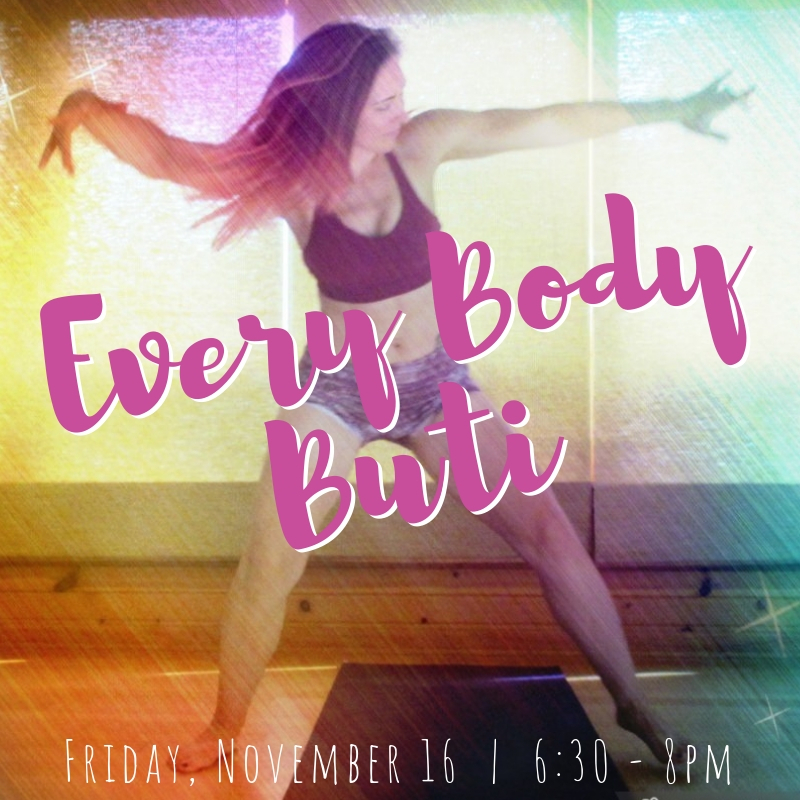 Save the date, Friday, November 16th from 6:30 – 8 pm for this special LIVE DJ event with guest Buti instructor, Maggie Malemud and she collaborates with her husband, DJ Franklin. As he spins everything from funk to rock and tribal to hiphop, Maggie will lead the class through a delicious buti blend of yoga poses, core spiral techniques, strengthening and cardio dance moves. This event is for every gender, every level and every BODY! Use your membership, class pass or drop in for $15!